Have you noticed that we are seeing questions like these more and more with our advanced technology in order to verify it is a human and not a robot doing the work? I think this applies to us Christians two-fold in today’s culture. Am I acting like a human? Am I seeing people as human and real? 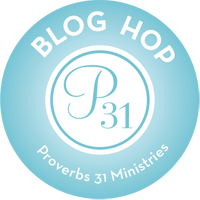 If you are a regular reader of my blog, you know I am big on obedience to the Word of God and speaking truth. You have read my posts on the dangers of Islam. If you know me at all, you know I have a very short fuse for the Liberal movement. I hold tightly to my beliefs and understand that sharing the truth to people, even if they don’t want to hear it, is in fact loving them. I get it; I truly do. So, please don’t debate me on these issues; don’t send me private messages or emails….I promise you I get it. My concern of late is that in our desire to stand up for truth and stand up for Jesus (all positive things), we have forgotten that people are people; they have feelings; they have hurts; they have struggles; they want to belong; they want to be loved. I know in today’s time, this is not easy and gets harder and harder as the liberal side gets pushier and pushier. I get angry just scrolling through my Facebook page. I am not recommending we just let things go (that is what brought us to this place in the first place). No, we can’t redefine or make up a new Jesus to fit the trends of today, but we can be the hands and feet of Jesus and speak His truth is a manner that is loving and respectful. We can be real and human without compromising the truth. Just yesterday I was given the opportunity to help someone. My first inclination was that I was being duped. However, I would much rather be duped than miss an opportunity to be Jesus to someone who really needed it. Amen! Amen! and preach on, Missy! Blessings on you, my friend! Next Next post: Stay Tuned…..